BANGKOK — A week out from special elections that are likely to see opposition leader Aung San Suu Kyi take a seat in the country’s parliament, Burma’s long-straitjacketed journalists sat with local and foreign officials to discuss a new press law that could see the country’s censorship regime abolished. Thiha Saw, editor of Myanmar Dhana magazine and Open News (two Rangoon-based publications), told an audience in Bangkok earlier this week that, according to the Ministry of Information, the censorship department will be abolished and there will no longer be pre-publication checking of articles. Right now in Burma, daily newspapers are banned and existing weeklies must run their content by the censorship board for approval before publishing. But change is nigh, it seems, and a second draft of a new print media law will go before the country’s parliament later this year. By then, the parliament could include Aung San Suu Kyi, the famous dissident who was denied her win in 1990 elections and spent much of the intervening years under house arrest. That possibility is heartening for journalists. “Hopefully the Lady will be in parliament by the time the second draft comes around,” Thiha Saw said. The special elections and the proposed new press code are the latest in a series of reforms enacted or proposed by the country’s nominally civilian government — changes that have seen a bevy of media headlines lauding the country’s rulers for their new-found open-mindedness. Political prisoners have been freed, new laws on foreign investment proposed, and controversial, lucrative infrastructure projects have been put on hold. The year-old parliament also recently passed bills on environmental conservation and agreed on the country’s annual budget — which was previously announced by decree. While I was reporting from Burma in February, ordinary Burmese — as well politicians, media workers, political activists — were all happy to be interviewed in public. This was not the case just a few months before. Facebook is no longer blocked, and though the Internet remains slow and expensive — as well as monitored by the government — smaller publications yet to develop a website are using Facebook pages to post news content online, with images and video of Aung San Suu Kyi’s election campaign proving wildly popular. However, after five decades of military rule, army influence over the country’s government is not about to fade away. Speaking on March 27, Army head Gen. Min Aung Hlaing said soldiers who serve as lawmakers are working for “the interest of the country … performing the duty of national politics” by participating in parliament, where the military is allotted 25 percent of the seats. That said, there have been some surprising developments in the parliament, with members of parliament disagreeing with ministers and officials, and the tiny opposition finding common ground with some members of the army-backed majority party. And in a signal that Burma’s rulers are loosening their information grip, reporters from Rangoon — such as Thiha Saw — were permitted to travel to Bangkok on March 26, to discuss media reform and the April 1 elections. In recent times, Thailand has served as a sanctuary for some of Burma’s dissident and opposition figures, as well as leaders of some of the country’s ethnic minority militias. Hundreds of thousands of refugees fleeing fighting in Burma’s rugged borderlands come to Thailand, as well as several million Burmese economic migrants escaping poverty and joblessness at home, to eke out a sometimes harsh living in Thailand’s fishing industry or as domestic service. Among the Thailand-based Burmese are the exiled media outlets, which have worked to fill the news void inside Burma in the years since the army crushed student protests in 1988. Aung Zaw, editor of The Irrawaddy, an online news magazine based in Chiang Mai, close to the Thailand-Burma border, and Toe Zaw Latt, Thailand bureau chief of Democratic Voice of Burma (DVB), joined their Burma-based counterparts for this week’s discussion, held at Thailand’s Foreign Correspondents Club. Both Aung Zaw and Toe Zaw Latt had just returned to Thailand from Burma, where they attended an international conference — backed by the Burmese government — on media development in the country, which is officially known as Myanmar. It was Toe Zaw Latt’s first visit home in 23 years, and for Aung Zaw, his second in 24 years. 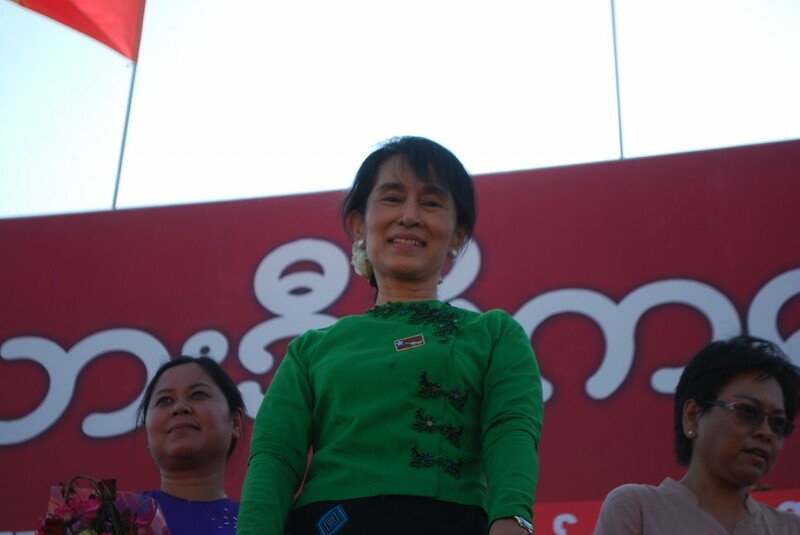 Both men fled their country after the 1988 uprising, which marked Aung San Suu Kyi’s first foray into Burmese politics. Aung Zaw said his publication will consider establishing operations inside Burma, pending more reforms, but cautioned that he hopes to have a “one foot in, one foot out” strategy going forward. The new print media law does not cover online reporting — and it remains to be seen whether television and radio laws will be given the same overhaul. Toe Zaw Latt said that many of the old laws that made Burma one of the world’s harshest places to be a journalist remained in place. “The Electronics Act is still there,” he said, referring to a law that means Burmese can be jailed for 20 years for publishing material deemed subversive. Up until January 13, when Burma’s government released several hundred political prisoners, 17 DVB reporters were imprisoned, mostly under the Electronics Act. Despite the existence of oppressive laws, both the Burmese government and international backers of media reform still portray Burma’s journalists as the ones needing to change their ways. A press statement released by UNESCO after the recent media development conference in Burma attributed the following summary to U Ye Htut, director-general of the Information and Public Relations Department, at Burma’s Ministry of Information. “U Ye Htut also identified the main challenges in lack of experience, lack of professional standards in journalism in Myanmar and limited access to local media, and need to imbue press, publishers and editors with a concept of self-responsibility,” read the release.